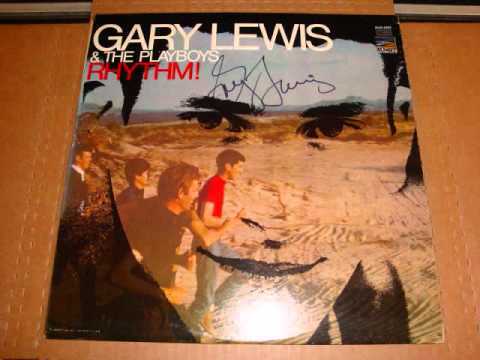 Gary Lewis and the Playboys were a pop/rock group fronted by musician Gary Lewis, son of comedian Jerry Lewis, which earned its most success as a 'swinging sixties' band. Releasing four gold albums as well as many hits, songs "Build Me Up Buttercup" and "This Diamond Ring" in particular continue to receive significant airplay. The group initially auditioned for a job at Disneyland, supposedly without telling Disneyland employees about Lewis' celebrity father. They were hired on the spot, audiences at Disneyland quickly accepting them and loving their good-time image, and the Playboys were soon playing to a full house every night. 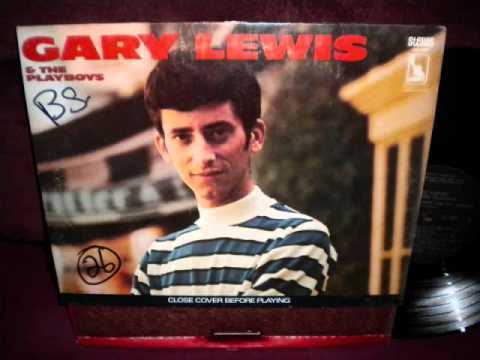 Band leader Les Brown had known Jerry Lewis for years, and he told record producer Snuff Garrett that the younger Lewis was playing at Disneyland. 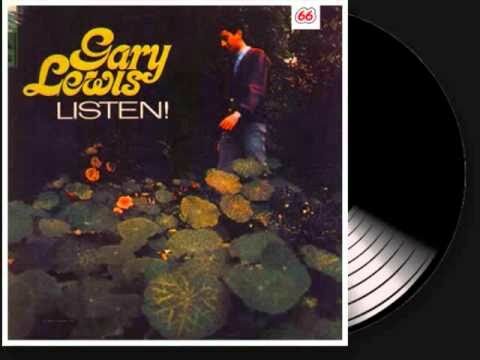 After listening to the band, Garrett liked their sound and thought using Gary's famous name might sell tons of records. 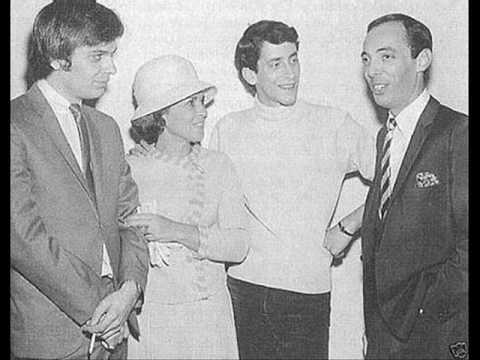 Garrett took them into a recording studio with the song "This Diamond Ring" in a session financed by Jerry Lewis' wife Patti. 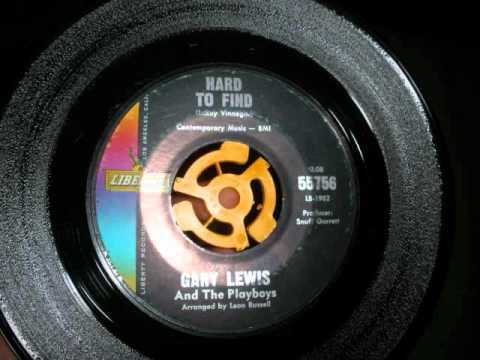 However, according to Lewis, the Playboys weren’t allowed to play their instruments except on the backing tracks. Garrett wanted to maximize the chances for a hit, so he insisted on using experienced studio musicians for the overdubs, which included guitar and keyboard solos, additional bass and drum overdubs, and timpani. These musicians included Tommy Allsup on guitar, Leon Russell on keyboards, Joe Osborn on bass, and Hal Blaine on drums. Session singer Ron Hicklin did the basic vocal track. 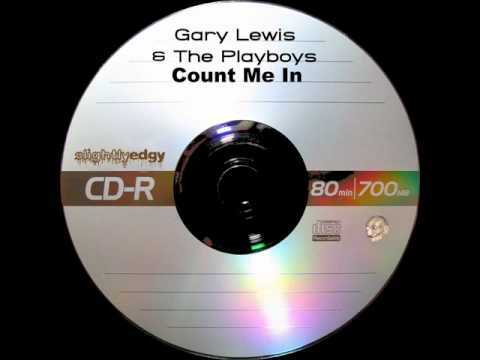 Garrett then added Gary’s voice twice, added some of the Playboys and more of Hicklin. "When I got through, he sounded like Mario Lanza," Garrett commented. 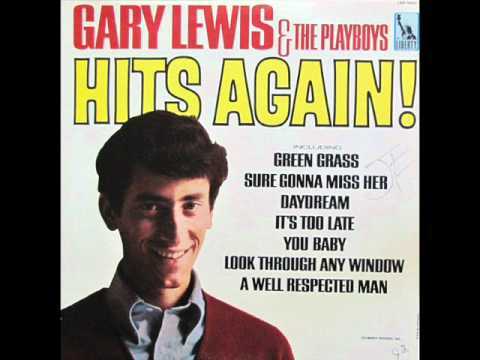 Regarding the musicians who performed on "This Diamond Ring" and other tracks by the band, Gary Lewis told Songfacts, "The Playboys played on every track we ever did, the Wrecking Crew did solos and overdubs. I sang every song myself and had a backup singer that sang only harmonies with me. My producer Snuff Garrett can back up everything I've told you, and so can Leon Russell, who was the arranger of everything I did." 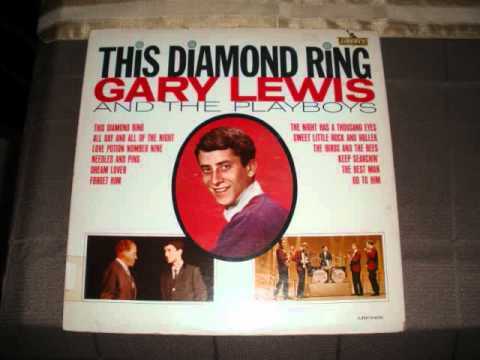 Garrett got airplay in New York City for "This Diamond Ring" by making a deal with WINS disc jockey Murray the K Kaufman, who ran a series of all-star concerts at theaters around the New York area, promising that if he played Lewis’ record, the Playboys would do his shows. 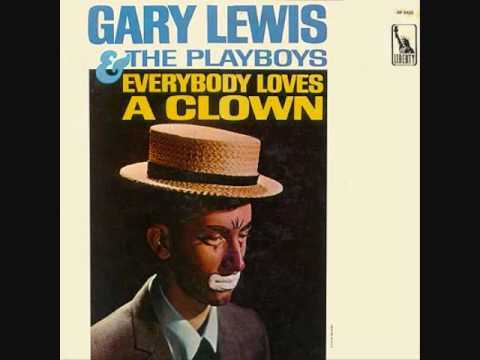 Garrett then had Jerry Lewis use his contacts to get his son onto 'The Ed Sullivan Show', which often 'made' an artist. However, Sullivan had a general policy that all acts appearing on his show were to perform live (although one of his frequent guests, The Dave Clark Five, had lip-synched from their second appearance on, in early 1964). Since so many studio tricks had been used on the record, the Playboys could not re-create its sound. 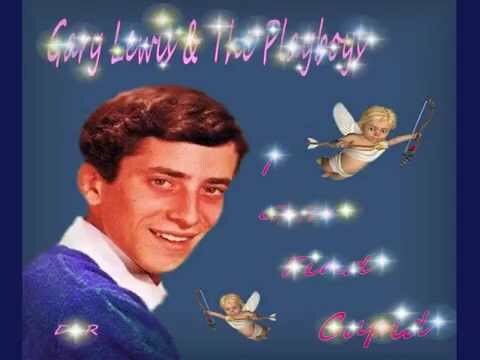 In compromise, Lewis sang along with pre-recorded tracks as the Playboys pretended to play their instruments. 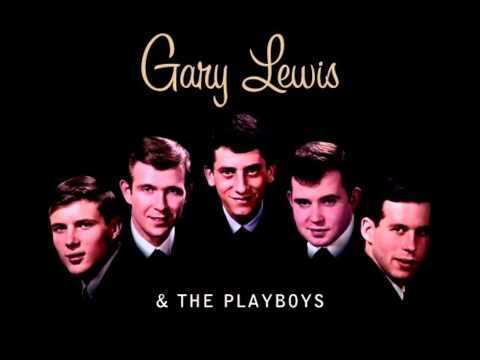 The January 1965 broadcast made Gary Lewis and the Playboys instant stars. "This Diamond Ring" went all the way to #1, and pressing plants reportedly could not keep up with initial demand for the record. Successful touring and persistent airplay has made the tune a part of 60s music history, appearing in many multi-artist collections. 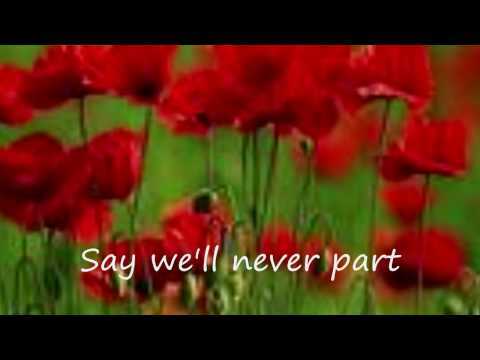 However, only West and Lewis remained in the band by the end of 1965. Other members later included Tommy Tripplehorn (father of actress Jeanne Tripplehorn), Carl Radle, Jimmy Karstein, Dave Gonzalez, and "Myke". 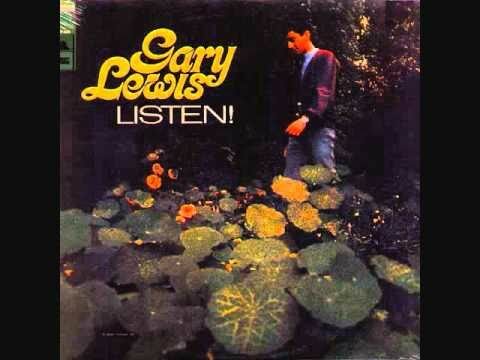 In 1965, Gary Lewis was deemed 'Cash Box' magazine's "Male Vocalist of the Year," winning against nominees Elvis Presley and Frank Sinatra. 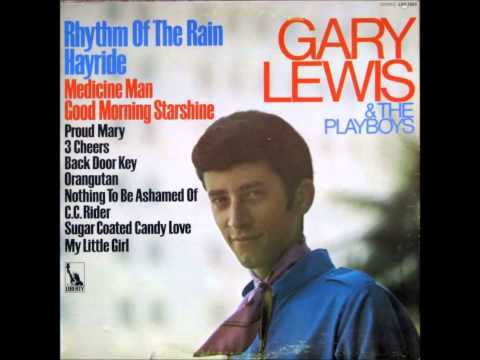 As a testament to his group's success, his was also the only 60s artist to have its seven single releases reach Billboard magazine's Top 10 on the Hot 100 chart (with "Count Me In" (#2), "Save Your Heart for Me" (#2), "Everybody Loves a Clown" (#4), "She's Just My Style" (#3), "Sure Gonna Miss Her" (#9), and "Green Grass" (#8) all hitting the upper reaches of the chart). Lewis was drafted into the U.S. Army in January 1967 and discharged in 1968. He immediately returned to recording but was unable to regain his group's earlier momentum. Lewis continued touring, eventually marketing the band as a nostalgia act. 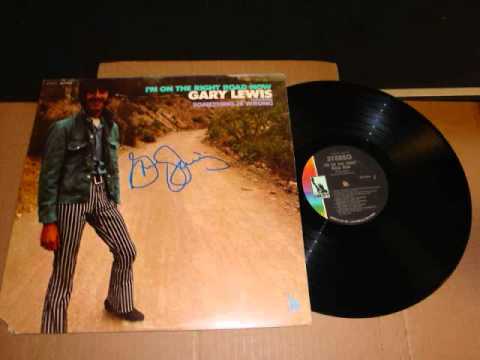 In total, Gary Lewis and his band has had eight gold singles, 17 top 40 hits, and four gold albums. In addition to playing on 'The Ed Sullivan Show', he appeared on 'American Bandstand', 'Shindig! ', 'Hullabaloo', 'The Sally Jessy Raphaël Show', 'The Tonight Show', 'The Mike Douglas Show', 'Nashville Now', and Wolfman Jack's famous program. 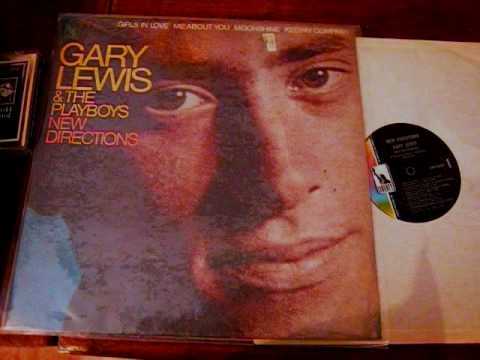 Gary Lewis has also appeared and performed on many of his father's Labor Day telethons for the Muscular Dystrophy Association. Read more on Last.fm. User-contributed text is available under the Creative Commons By-SA License; additional terms may apply.